Do I Need a Lawyer If I Am Hit by a Drunk Driver? Access more investigative muscle to substantiate your version of the truth. Sure, you recall the other driver visibly impaired, smelling like alcohol, slurring speech, or driving with alcohol in the car – but you want to be sure this information gets recorded on the official record, so it’s not just your word versus the defendant’s. The local police department will do their best with the resources they have to determine what happened in your car accident. What if you were involved in a hit-and-run accident you suspect involved a drunk driver? A legal team applies another set of resources – including crash investigators, eyewitnesses, insurance adjustors, accident reconstructionists, medical experts, and more – to your case. These are people working with your best interests at heart. Personal injury attorneys make no money unless they win money on your behalf, so it’s actually in their best interests to doggedly pursue justice. States like California allow “comparative negligence” in personal injury cases. Even if you were partially at fault for the accident, you can still collect compensation for your injuries. However, the total amount you receive can be reduced based on the role you played in the crash. For instance, if you were speeding, a judge may say you were 25% liable for the accident, so if the total award is $500,000, you will receive $375,000 instead of the full amount of damages due to your 25% liability. Your legal team will argue aggressively to reject or at least limit the defendant’s charges that you were responsible for what happened. Stand up against insurance company interests. Insurance providers are notorious for making lowball offers and pressuring victims to close the case quickly — and sign a release of liability waiver, negating your legal right to sue later. Car accident injuries are not always evident at the outset. Sometimes whiplash neck injuries manifest into much more serious (and costly) medical issues later on, so it’s important that you have experts on hand who can give you a realistic estimate of what to expect down the road and who prevent insurers from infringing on your rights. Determine what your case is really worth. 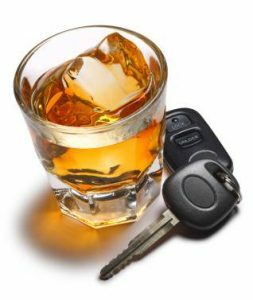 Do you know what the average drunk driver settlement is? Some totals are easy to come by – such as the exact amount you’ve paid for past medical care or the amount of money you’ve missed in taking time off work for rehabilitation. However, other amounts are less straightforward. What losses in quality of life have you suffered? How much emotional pain and suffering have you endured? Testimony from the right expert could make all the difference in the world. The truth is, the amount of money you receive after getting hit by a drunk driver varies widely from as little as $10,000 up into the millions. One of the hardest decisions a plaintiff must make is whether to accept the settlement offer or risk it all in court in hopes of winning more. Overcome injustices in the system. A personal injury attorney knows that the current system allows for discrimination, where minorities and women are offered lower settlement amounts than white males by both insurance companies and juries. Forensic economists working for the defendants and insurance company interests consider factors like education level, salary history, race, gender, perceived sexual orientation, religion, and ethnicity. With aggressive representation and advocacy working to counteract these forces, you can overcome these injustices. In one case, an African American teacher with a master’s degree was offered $12,000 after a serious accident. After multiple surgeries over the next four years, she was offered $300,000. After a three-week trial, the jury awarded her $1.57 million. Make sure you really get your money. As The Washington Post reports, health insurance companies sometimes try to dip into the plaintiff’s pocket to reimburse themselves for past money paid toward treatment and rehabilitation. It can be helpful to have a lawyer on hand to explain your insurance policy fine-print from the start, so you know what to expect should you stumble into significant money. It’s best to hire an experienced car accident lawyer who understands complications that may arise following a successful verdict from the get-go. If your policy leaves the door open to this sort of ransacking, your legal team will fight for maximum compensation to be sure you’re not left with too little to cover future medical expenses and hardship. If you or a loved one are considering the services of one of our Los Angeles personal injury lawyers, contact the Ellis Injury Law Firm for a free, no-obligation consultation. In your search for Los Angeles car accident attorneys, you deserve the very best. Andy Ellis and his team have won over $350 million on behalf of our clients over the past 20 years. Recognized by US News & World Report among the “Best Law Firms” in 2018 and recognized by Best Lawyers for 2019, we are honored to serve the local Los Angeles community and are driven by compassion to help victims of drunk driving accidents piece their lives back together.